Hillary Clinton is often said to be a policy wonk, deeply enmeshed in specifics and details, but that may be a mischaracterization. In some ways, her approach seems disturbingly superficial, skipping one perceived problem to another with little attention to their underlying causes. In some cases, Clinton seems to have paid little attention to the unintended consequences of her proposals, as a real policy expert would do. A look at the tax implications of some of her social policy proposals will illustrate these shortcomings. 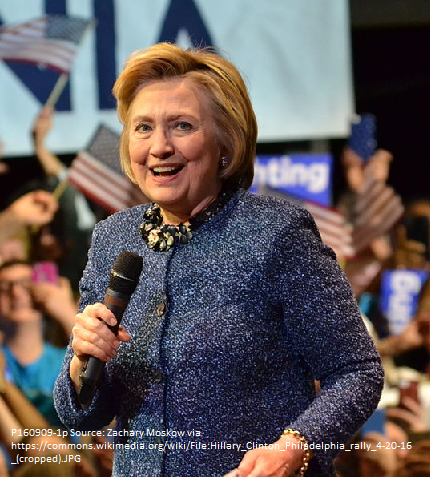 Discussions of by both supporters and critics have characterized Hillary Clinton’s tax policies as progressive. The appearance of progressivity arises from her pledge to raise tax rates and close loopholes for the wealthiest Americans, while leaving nominal tax rates for middle-class families largely unchanged. According to an analysis by the Tax Policy Center, her proposals would increase revenue by $1.1 trillion over the next decade, with nearly all of the tax increases falling on the top 1 percent. However, the conclusion that Clinton’s policies would have little effect on middle-class families is based on a narrow view of taxes—one that takes into account only the money that taxpayers hand over to the IRS. Economists have long favored a broader concept called the effective marginal tax rate (EMTR), which includes reductions in government benefits that occur as income rises as well as increases in taxes paid. Some little-noticed features of Clinton’s education and healthcare policies would have the unintended consequence of raising effective marginal tax rates on middle-class families to levels far above those that top earners would face. High effective marginal tax rates are a familiar story as applied to poor and near-poor families. In a recent post on poverty policy and work incentives, I used the example of a household that receives food stamps, subject to a benefit reduction rate of 24 percent; receives housing benefits, subject to a benefit reduction rate of 30 percent; and pays a 7 percent payroll tax on earned income. The EMTR for that household would be 24+30+7=61 percent, meaning that its net income, after benefit reductions and taxes, would rise by just $39 for each $100 earned. What is new about Clinton’s policy proposals is the way that they would push high benefit reduction rates far on up the income scale, into the middle class and above. Consider, for example, her proposal for child care. Although her campaign has not yet published full details, the essence of the proposal is that no family would have to pay more than ten percent of its income for day care. Costs of day care vary widely according to location and age of the child, but, drawing on information from babycenter.com, we can use $10,000 per year as a working estimate. Under Clinton’s plan, then, a family with one child and an income of $50,000, approximately the US median, would have to pay $5,000 for day care and would receive a subsidy of $5,000 in the form of tax credits. A family with income of $60,000 would get a subsidy of $4,000 and so on, with the subsidy finally phasing out at a family of income of $100,000. That would mean a benefit reduction rate of 10 percent. With two children, the family would still be subject to a 10 percent benefit reduction rate, but benefits and benefit reductions would continue up to an income of $200,000—four times the median income, and well above the upper limit of the $42,000 to $125,000 range that the Pew Research Center uses to define the middle class. According to the Tax Policy Center’s analysis, under Clinton’s tax plan, families in the third and fourth income quartiles—$45,000 to $142,000 annual income—would pay a marginal tax rate of about 33 percent for combined federal income and payroll taxes. Adding a 10 percent benefit reduction rate for child care would put their effective marginal tax rate up to 43 percent. Similar reasoning applies to Clinton’s college tuition plan, which promises free tuition, at a state school, for families earning less than $125,000. According to the The College Board, tuition at state universities ranges from about $5,000 to $15,000 per year, averaging just under $10,000. Again, her campaign has not released details, but it is reasonable to assume that families would not abruptly lose the entire benefit if their income went from $125,000 to $125,001. If the benefit were phased out at a 10 percent rate, as for childcare, benefit reductions would continue up to $225,000 for families with one child in college in a state with average tuition, and $325,000 for a family with two children in college. Relatively few families would have children in college and preschool at the same time, so not many would experience the benefit reductions of both plans at once. However, we can see that middle-class families would potentially feel the effects of an elevated effective marginal tax rate over a wide range of incomes and ages if both of Clinton’s programs were in force. We should also take health care into effect when considering the impact of Clinton’s policy proposals on middle-class tax rates. Although some details are lacking, the central promise of Clinton’s healthcare policy is to defend and expand the Affordable Care Act. The ACA includes two kinds of subsidies that directly impact the effective marginal tax rates of middle class families. One is a set of premium assistance credits that lower the cost of buying insurance on state or federal exchanges. The other is a system of cost-sharing subsidies that reduce out-of-pocket costs for eligible families. Both ACA subsidy mechanisms are highly complex, but a detailed analysis from the Congressional Budget Office, based on 2014 data, provides some estimates of their effects on typical middle-class families. The ACA subsidies depend on the ratio of a family’s income to the federal poverty level, which was $23,550 for a family of four in 2014. The CBO calculates that a family with an income from 175 to 225 percent of the poverty level ($41,213 to $52, 988 in 2014), which would put it in the lower end of the middle class range, faces a combined benefit reduction rate of 30 percent from cost-sharing subsidies and premium assistance credits. For a family with income from 225 to 275 percent of the poverty level ($55,989 to $63,763), the benefit reduction rate would be 19 percent. Families with incomes from 250 to 400 percent of the poverty line, which are eligible for premium assistance credits but not cost-sharing subsidies, would face a benefit reduction rate of 9 percent. In calculating effective marginal tax rates, the rates for taxes tax paid and for each of the applicable benefit reduction rates are additive. The combined rates for at least some middle-class families would be quite high if all of Clinton’s policy proposals were in force. Consider, for example, a family of four with income of $50,000; with either one or more children in day care or one or more children in college (but not both); and with health insurance purchased on an ACA exchange. The effective marginal tax rate would be 33 percent (payroll and income tax), plus 10 percent (childcare or college benefit reductions), plus 30 percent (ACA subsidies), or 73 percent in all. Workers in such a household would get to keep just 27 cents of each additional dollar earned. That is an effective marginal tax rate far higher than the 46 percent that would apply to families in the top 0.1 percent, even if all of Clinton’s high-end tax increases were in force. The rate would be even higher if the family were subject to state income tax. Effective marginal tax rates of over 70 percent would have significant impacts on work incentives and labor force participation. The CBO estimates that the elasticity of labor supply for the average worker is about 0.24, which means that the number of hours worked tends to increase (or decrease) by about 0.24 percent for each 1 percent increase (or decrease) in the after-tax wage rate. For secondary earners in a household, the elasticity is higher, about 0.32. A hypothetical scenario may help put those numbers in context for readers not used to thinking in terms of elasticities. Imagine a middle-class family of four in which one spouse has a full-time job that pays $40,000 per year. The other spouse has the opportunity to work part time in a retail job, with flexible hours, at a wage of $10 per hour. For the sake of illustration, assume that the secondary earner would choose to work half time, or 1,000 hours per year, if the $10 wage were entirely tax free. Income and payroll taxes would reduce after-tax earnings by 33 percent, to $6.70 per hour. If we apply the standard formula for a constant-elasticity labor supply curve, we would expect income and payroll taxes to reduce the secondary worker’s preferred amount of work to 880 hours per year. Including the benefit reductions from childcare or college subsidies and from the ACA would reduce net after-tax earnings to $2.70 per hour. That would further reduce the secondary worker’s desired amount of work to just 658 hours per year. The reduction would be even greater if we took into account state income taxes and work-related expenses such as transportation or special clothing. To be sure, this is a worst-case example. Full-time workers would also be affected, but their labor supply would be likely to change less dramatically, since the elasticity is lower for full-time workers, in part because full-time workers often have little discretion over their hours. Even given the same income, families without preschool or college-age children, and families with employer-provided health insurance, would also be less strongly affected. Still, with labor force participation rates already falling, even effects smaller than our worst-case example would be a matter of concern. Labor supply effects aside, the very fact that the effects that the benefits and burdens of these programs are spread so unevenly among middle-class families of similar incomes suggests that there is a broader problem with Clinton’s whole approach to policy. A large part of that problem is that Clinton’s policies emphasize tinkering with details rather than fundamental reform. Tinkering leads to complexity, especially when it just adds patches to existing policies rather than rebuilding them from the ground up. Complexity, in turn, invites unintended consequences, of which the erosion of work incentives for middle-class families is a prime example. The broad economic trends that Clinton’s policies attempt to address are real enough: Steady increases in the relative price of child care, health care, and college education, combined with a steady decline in the share of total income earned by the middle class. What kinds of policies might address these trends in a more fundamental way while generating fewer unintended consequences? If our major concern is the macroeconomic problem of declining middle-class incomes, we would do better to work toward broad tax reform. Clinton’s proposals do include measures to raise tax rates and close loopholes for top earners, but why use that money in such a selective way to aid middle-class families with preschool and college age children? Falling relative incomes affect all middle-class families, including the childless or those with grown children, who nonetheless struggle to pay for housing, to care for elderly parents, or to save for retirement. To treat everyone equally, would it not make more sense to direct revenues from new taxes on the rich toward tax relief for all members of the middle class, perhaps through lower rates of income and payroll taxes? Doing so would enhance incentives for labor force participation, rather than undermining them. If, instead, we focus on the microeconomic problem of rising costs for childcare and college, wouldn’t we do better to address those costs directly? Bernie Sanders, Clinton’s rival in the primaries, held the view that the American tradition of universal free primary and secondary education should be extended downward to preschool and upward to the university level. If that were done without means testing, as he proposed, the impact on effective marginal tax rates for middle-class families would disappear. Some might object that such a policy would provide free preschool and college education even to the children of the 1 percent. In practice, though, such families would often prefer premium quality private alternatives, as they now do for elementary and high school. Much the same goes for medical care. Clinton’s proposals would maintain the work disincentives that arise from ACA subsidies. Sanders, instead, proposed a truly universal healthcare system without means testing. His specific proposal drew criticism as excessively costly, but, as I explained in an earlier post, it could be made much more affordable if it were modified to more closely resemble the healthcare systems of other wealthy countries. Here, then, is the bottom line: A real policy wonk would understand the unintended as well as the intended consequences of their proposals. Instead, Clinton’s seeming attention to detail in looks more like haphazard trolling for votes by putting Band-Aids on a few prominent sore spots while ignoring the underlying causes of the problems she professes to address. A basic income also suffers from high marginal tax rates but it is to an extent how one chooses to look at it. Viewing the benefit as independent from the cost, rates would be high. Viewing them as integral to cost lessens the impact. If these programs are what you would be spending money on anyway, higher marginal rates would not be seen as a problem. If they aren't then you may feel the sting even while utilizing them becomes much less painful. With most work full time with little opportunity to alter margins, this is not hugely significant, though simplicity does suffer. These being desirable but expensive middle class goals separate them out. If anyone felt they could reduce costs, they would probably do so, but that is difficult both politically and technically without much grief and unintended consequences. Someday perhaps but not until it becomes the path of least resistance.